Compositech has been providing filtration equipment servicing for more than 20 years to industry and municipalities in the USA and globally. Compositech’s facility in Pearland, Texas is conveniently located in the heart of the petrochemicals industry and our technicians are available to make site visits as well as repairs. 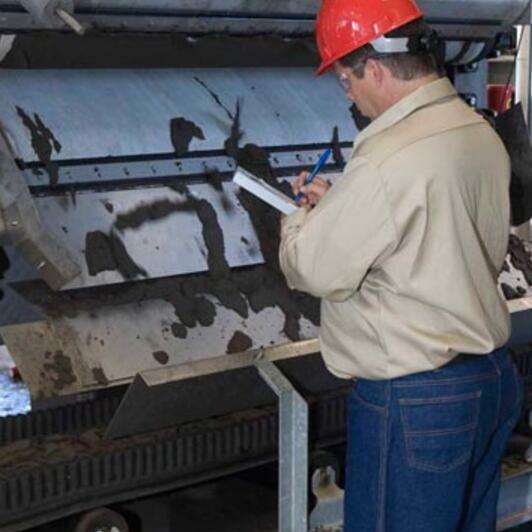 We have a field crew trained in inspection of filtration equipment and preventive maintenance as well as on-site parts installation and rebuild and repair services. Our technical staff offers inspection services in addition to your regularly scheduled maintenance. Complete filter refurbishment is available for longer wear life at a substantial savings to your company. Our service technicians are able to quickly perform routine maintenance at your plant. All SernaTech belt press filters were manufactured at our Pearland facility.